The customer service industry is not keeping up with higher customer expectations, as only 8% of consumers feel that contact centers always provide excellent customer service. With the constant evolution of technology, “They’re accustomed to more options, greater control, and a worldwide platform to tell others what they think about the way brands treat them,” says Megan Burns of Forrester Research. 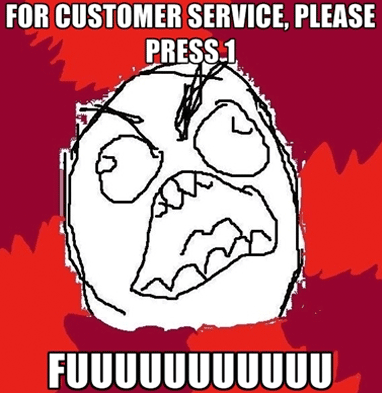 Here are 5 memes that explain what is frustrating customers today. No surprise here – people hate phone menus. In fact, callers say it is the fourth most frustrating aspect of customer service. What customers really want is to speak to an agent right away. Even the most advanced phone menus will slow this process down. A customer can quickly become furious by the time they reach an agent and will zero-out to reach any support representative, complain on social media, or a combination of the three. No one likes to wait on hold. To be ranked as an ‘excellent’ service center, quickly reaching an agent is cited as the important factor. How serious is this problem? 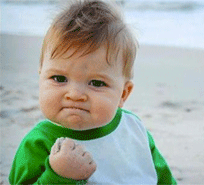 American consumers have wasted over 60 million precious hours… you guessed it – waiting on hold. Social customers expect fast customer service. When they don’t get it, they complain about it on social media, which can be catastrophic to a company’s brand. Need further proof?? Check out all these ‘On Hold’ complaints happening right now on Twitter! According to ClickFox’s second annual Consumer Tipping Points survey, 42% of consumers find speaking with multiple agents and repeating information as the most frustrating parts of customer service. Quite frankly, it’s not their problem and they feel you should be working on keeping them happy. They’re angry and not afraid to show it by letting everyone on Twitter know about it. Being a customer service representative is one of the most demanding and stressful jobs. When customers are irate with your company, it’s your front line agents who absorb the brunt of their fury. Instead of being reactive, consider a proactive approach that dodges verbal bullets fired by your angry customer. Callers are going to vent about long hold times with your agents which lengthens the handle time and the cost per call. “Your call is very important to us.” Really? If that’s true, don’t keep callers on hold for 45 minutes. Invest in the time and resources necessary to make the caller experience smooth and more enjoyable. Over the years, customers have become experts in detecting corporate BS. A company who holds true to the old adage, ‘Honesty is the best policy’ will win credibility points with their customers. If you’re contradicting corporate promises, expect customer uproar. Do you really care about your customers’ time? If so, why not implement a call-back solution so they don’t continue to waste time waiting on hold? What other major issues are facing customers and call centers? Share your thoughts below. Great post, Omar. Well done. Can't help but notice the common theme running through your 5 memes - what customers want more than anything is a low-effort experience. The Corporate Executive Board came out with some compelling research a couple of years ago supporting the proposition that the most valuable action a company can take to boost customer loyalty is to reduce the customer's perception of the amount of effort they have to expend to get their problem or issue resolved. Companies and call centers that effectively reduce the customers' perception of self-effort (with the right agent behaviors, systems, processes and technologies). Look no further than Zappos for an example of an organization that has low-effort for customers down to a science. Thanks Scott, thanks for sharing, would you happen to have a link to that research? Interesting point about how its the perception itself that affects loyalty. Excellent points Darryl I tolalty agree. Understanding your audience/customers seems like such an obvious thing for a business to do but it's so often overlooked.I find a similar situation happens with SEO. Companies get swept up in the excitement of SEO campaigns, high Google rankings and increased traffic to their site. But they then wonder why their sales don't explode as well. Usually it's the case of not understanding why the customer buys in the first place, so they get the traffic but can't target the product/content so it makes the conversion.